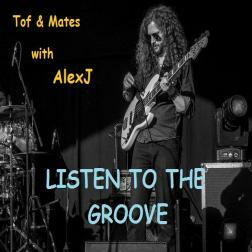 Some tracks with this incredible Alex, THE groove machine. Alex. The Bass. The Man. The Groove. Where do you start with with someone with the prodigious talent of Alex? The king of groove. The king of cool. The king of bass. Simples, to coin an advertising phrase. But do not discount the talents of the other players here. We have Tofzegrit - the king of pure guitar cool; we have Marc[eys] - the king of keys, the man who just makes everything cool. The funk. Then we have players like DaFunkyDrummer; frankly, one of the finest drummers I've had the pleasure to listen to. I'm sure he's on albums around the world but he's here, on the 'Loops. A finer drummer I challenge anyone to better. The groove king. The player. This is a collection of the very best of the 'loops. Listen. Enjoy. But, most importantly, remember these are guys who do it for fun. Now go back to the charts and tell me where the music is. Fantastic bundle of tracks here!